The fire is out, the clocks have stopped, and dread surrounds the empty interior of the Eilean Mor Lighthouse and a mystery that has persisted for over a hundred years. A desolate, weather-beaten island west of Scotland is the setting for the Eilean Mor Lighthouse mystery, where 3 men met their fate in 1900. Problem is, no one knows how. As if vanishing into the fog, three lightkeepers were never seen again, with no indication of what happened to them. 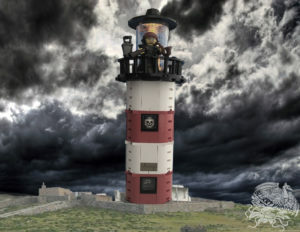 Join David as he relays the eerie story of the events at the lighthouse and uncovers the facts and fictions of the disappearance. Were sinister forces at work? Could there be a scientific explanation? And why did it take so long to discover them missing? The horn is sounded in the murky depths of the fog of mystery in this macabre episode of Blurry Photos!